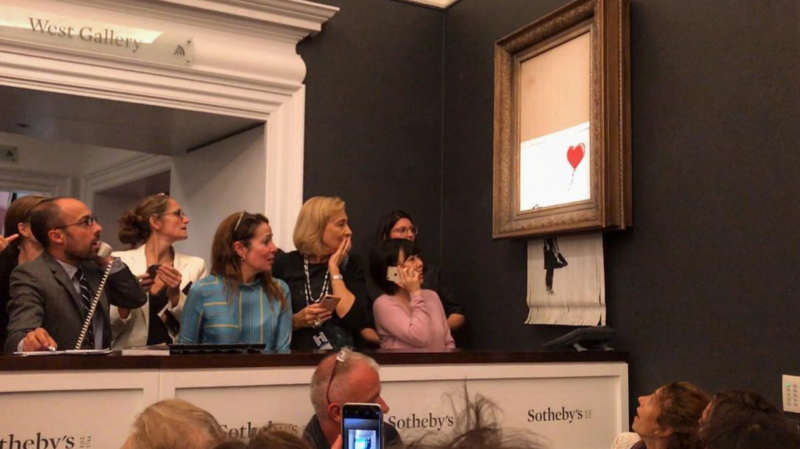 A Banksy artwork “self-destructed” last night at a Sotheby’s auction in London after it was sold. His famous artwork “Girl with a Balloon” was the final lot of the evening sale at Sotheby’s and was sold for £1,042,000. However, in a twist to be expected from street art’s elusive maverick, as the gavel went down the canvas began sliding downwards through a shredder installed in the frame. 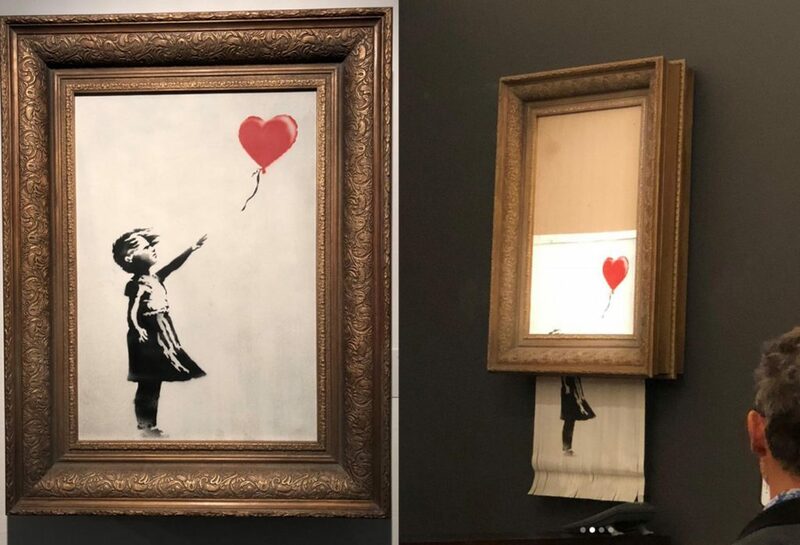 “It appears we just got Banksy-ed,” said Alex Branczik, Sotheby’s Senior Director and Head of Contemporary Art. The 2006 piece was shown dangling in pieces from the bottom of the frame. Art officials rushed in to take the artwork from the wall in a failed bid to save it. Auctioneer Oliver Barker said of the shredding: “A brilliant Banksy moment!”. Critics are speculating that the stunt will have enhanced the value of the work. Sources; BBC, Evening Standard and The Independent.